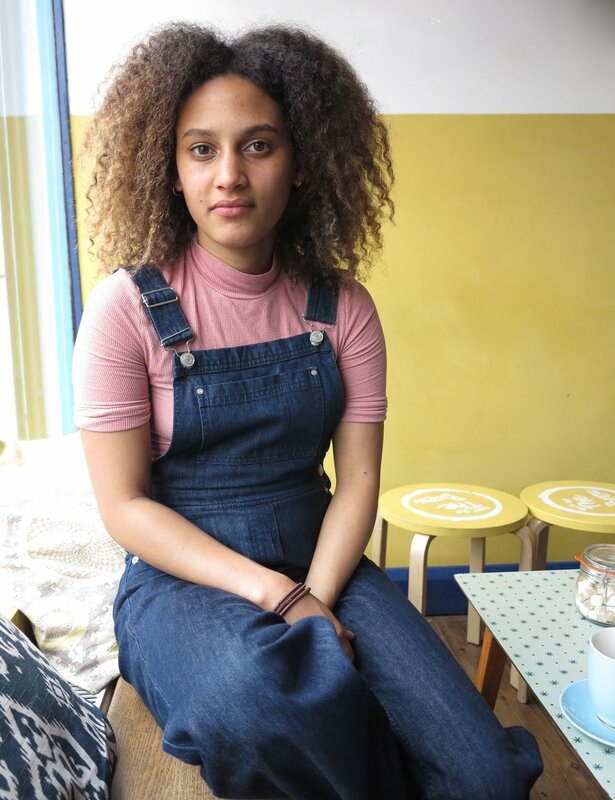 Tatenda, UK — the curl talk project. The way I perceived my hair changed a lot over the years and this might have to do with the fact that I lived in many different countries. I grew up in Botswana where I could see a lot of people looking like me. However, coming to the UK with my family made me face a completely different situation. I was the only black kid in school, and the comments I would hear on a day to day basis in regards to my look would make me feel very different and uncomfortable. The UK media had this same effect on me. I was coming from Africa, started a new life in the UK, where repetitive ads promoted ‘anti-frizz’ labeled products, showcasing curls like an awful characteristic needing to be eradicated. Representation of curly haired women/black women with curly hair is important and is improving but there is still a long way to go. The repartition of the different looks and features we see on a day to day basis is far from being equally divided. It’s hard for all of us to accept our individual characteristics and features but as soon as we succeed to connect with these unloved bits, life becomes much easier straight away. Obviously, the media are not helping so we definitely have to find ways to get there. If we don’t, they will be the ones benefiting from it.